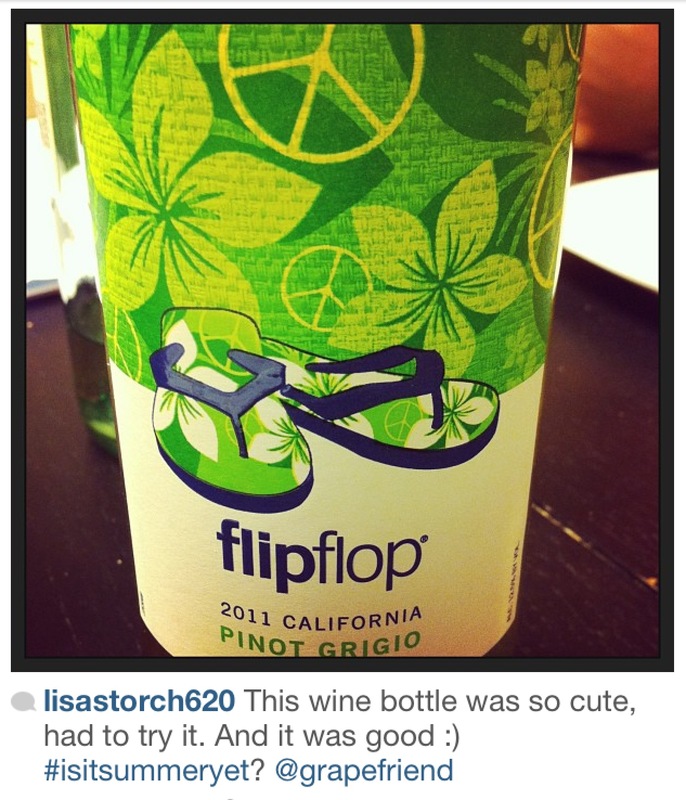 So after I did the post about Jennifer Lawrence drinking BV Cab in Hawaii, she found out about it and started tagging me in pics when she was drinking wine. 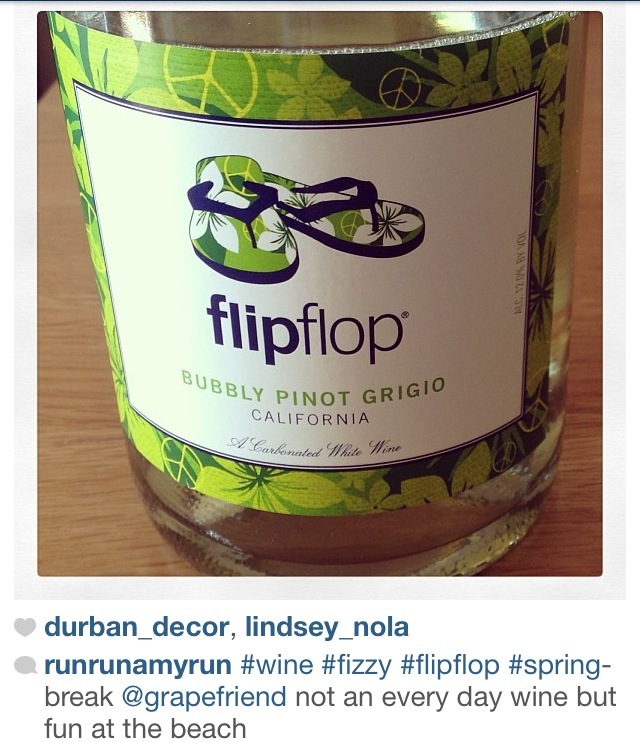 With a total of four tags, she’s our March Grapefriend of the Month! 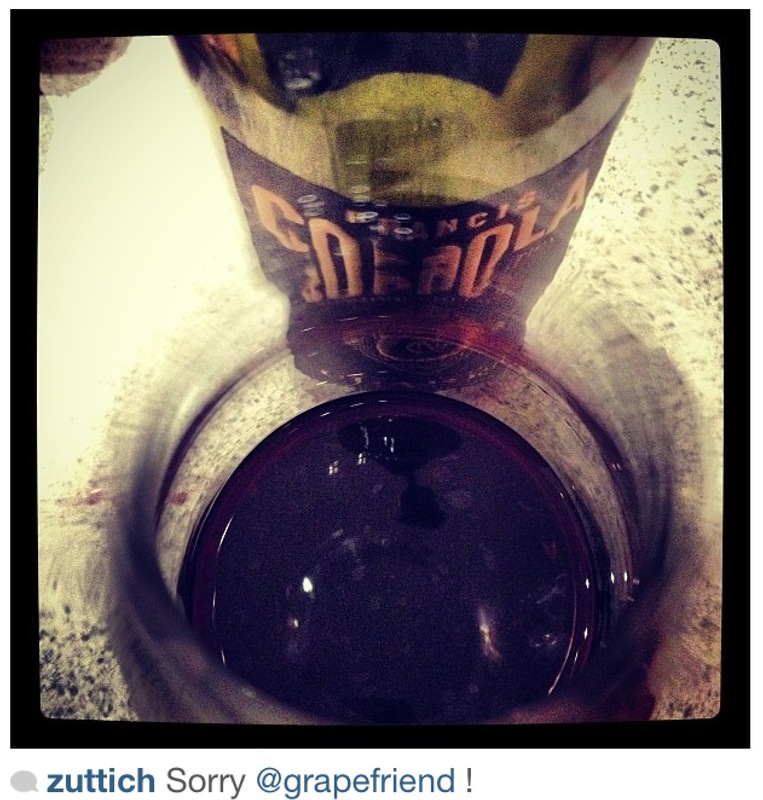 We all now how big of a grapefriend she is, so this should come as a surprise to no one. Unless you’re a fool – an APRIL FOOL!!! She’s an Oscar winner, I think she has better things to do than ask me about wine – or does she??? OK, OK, on to the real grapefriends of the month. None of them have won Oscars, but they do drink like champs. 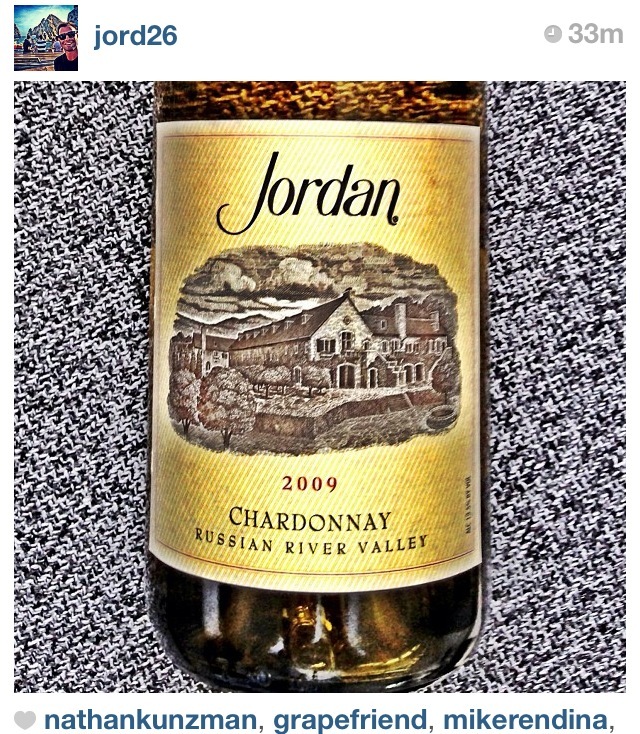 Love how Jordan drinks his own name. I’d totally do the same thing, all the time. 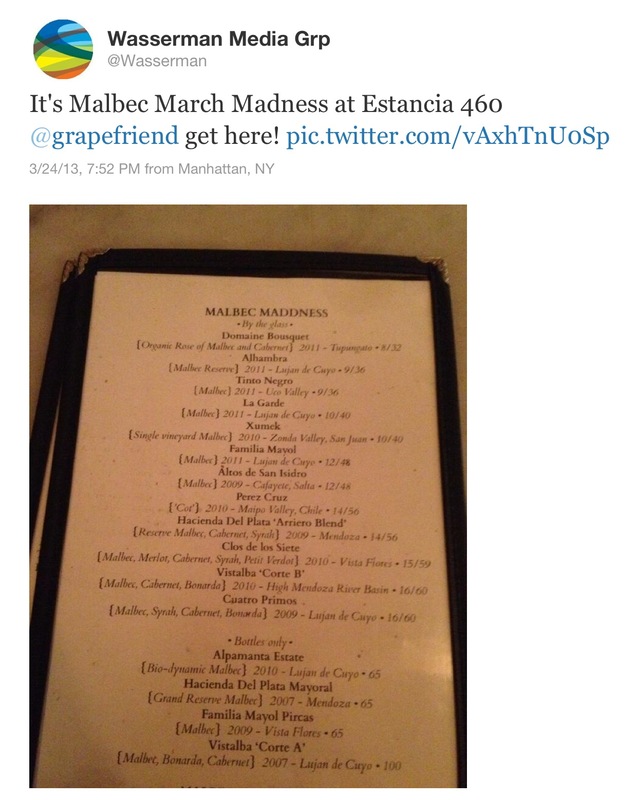 During March Madness, Wasserman Media (who reps Giants rival Andrew Luck, though I don’t know if he’s a grapefriend but will find out next season) apparently hosted a new and grapefriendy tournament called Malbec Madness. I know way more about this kind of game than basketball. Two people grabbed some Flip Flop – I applaud the enthusiasm for summer while it was still snowing. 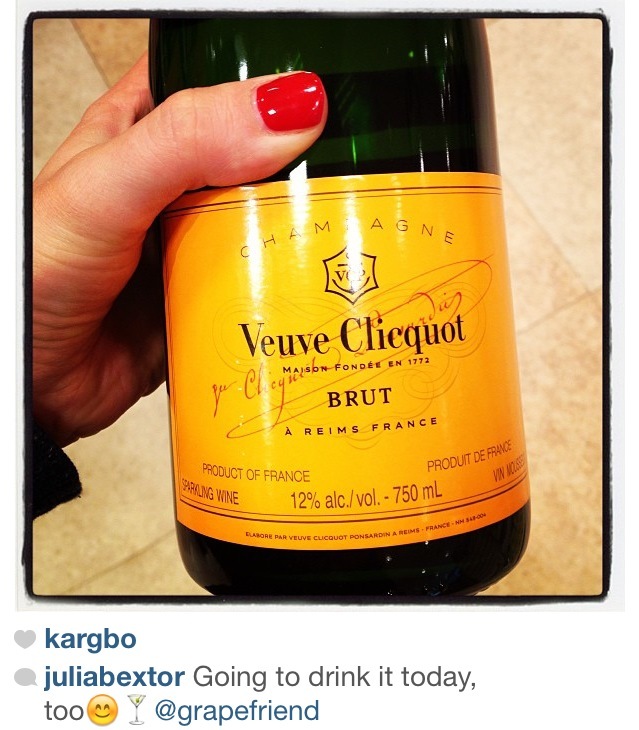 I’d just had some Veuve with oysters and then Julia said she was popping a bottle that night – grapefriend twinsies! 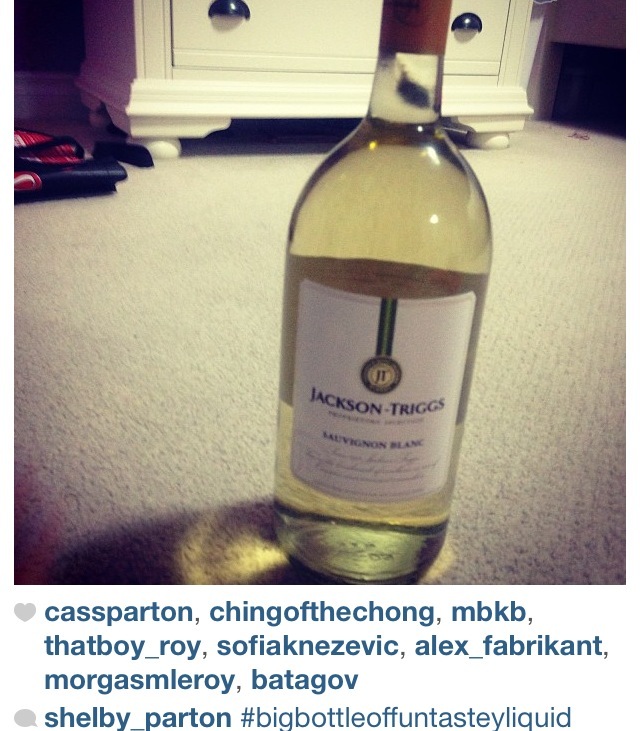 Someone tagged me in a photo that didn’t have wine in it. That was swiftly rectified. 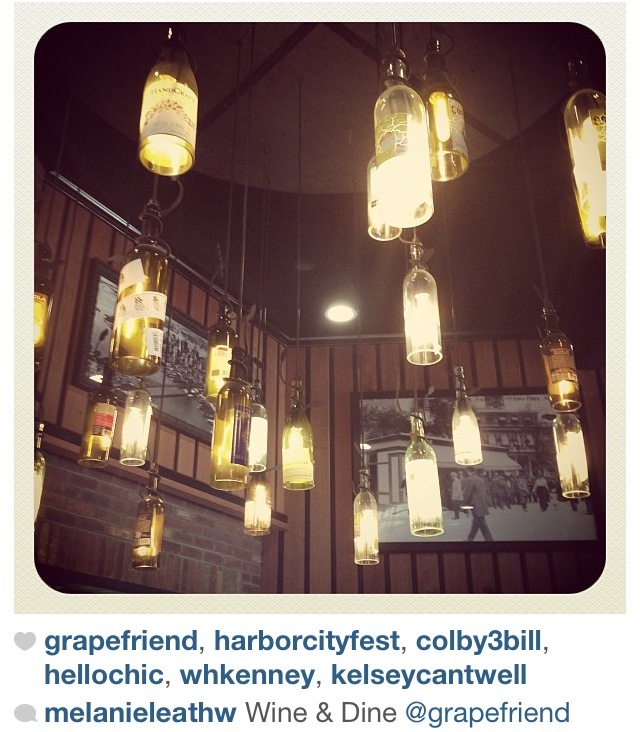 Shelby may have created the best hashtag ever. 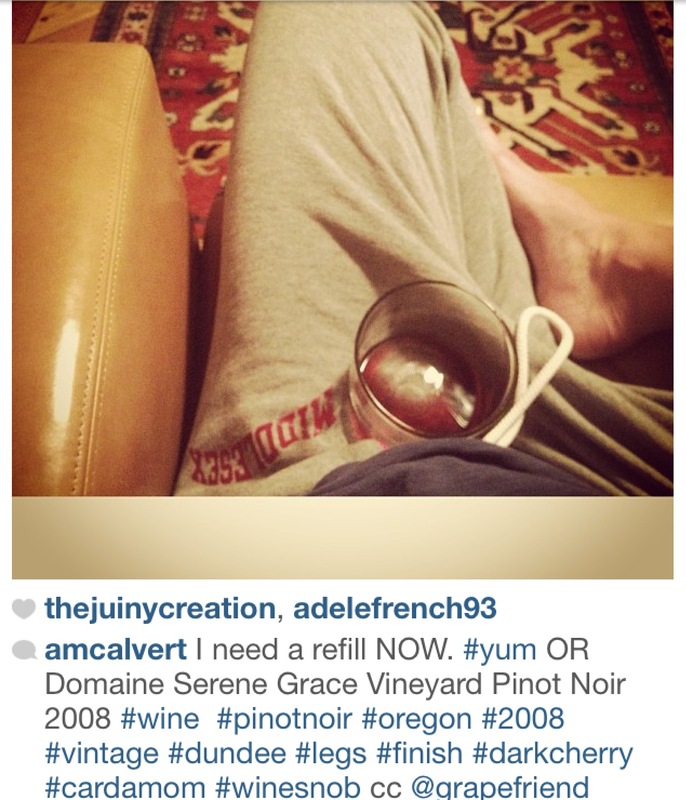 I too absolutely loooove Domaine Serene Pinot from Oregon. 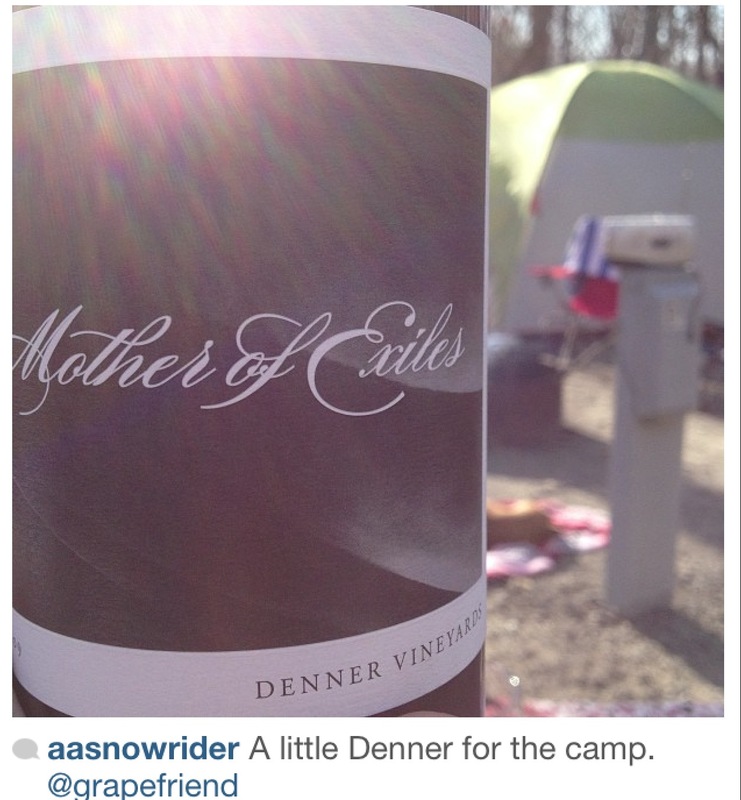 Adam followed my trip to Paso Robles last month, then went camping and brought this Mother of Exiles from Denner. I hadn’t visited Denner but heard it’s one of the best wineries there so will have to check it out, preferably when I’m doing something fun like camping (or glamping as the kids say – the luxury kids at least). 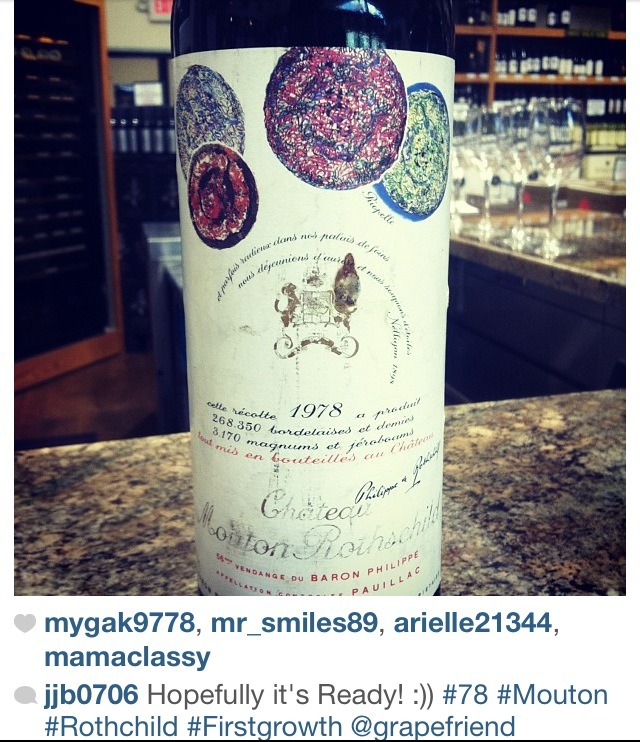 And check out this killer 1978 Mouton with the cool label by artist Jean-Paul Riopelle. 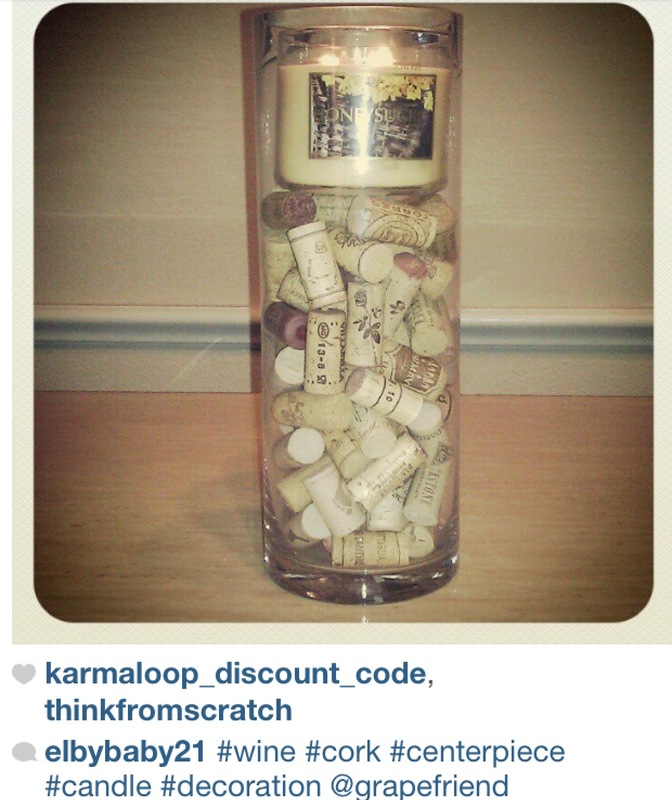 And the moment you’ve all been waiting for: Annie is our March grapefriend of the month! Check out her good grapes in the slideshow – I’m excited to see her venturing into rosé in addition to her ever-present red. Most tags ever this month (over 100!) 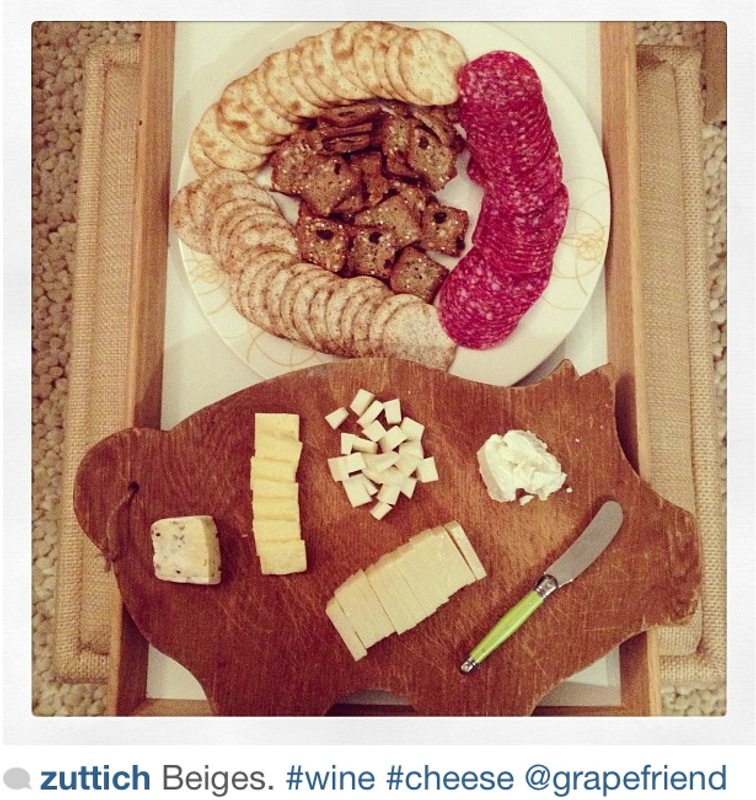 so keep them coming on Instagram and Twitter – enjoy the show! 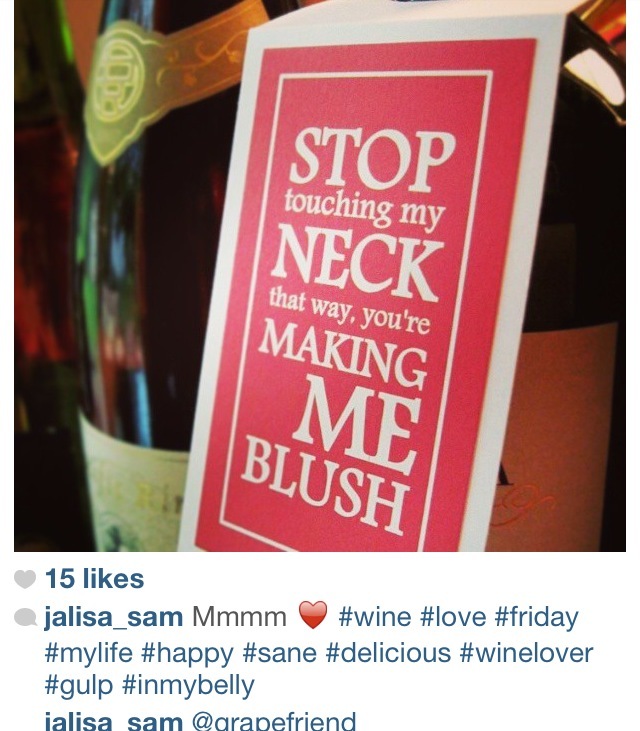 Tags: beaujolais, bordeaux, cabernet, champagne, malbec, mouton, pinot grigio, Rose, sparkling, wine. Bookmark the permalink. Grapefriend, you started your own meme! I wish I knew you! I bet all your friends are super cool!